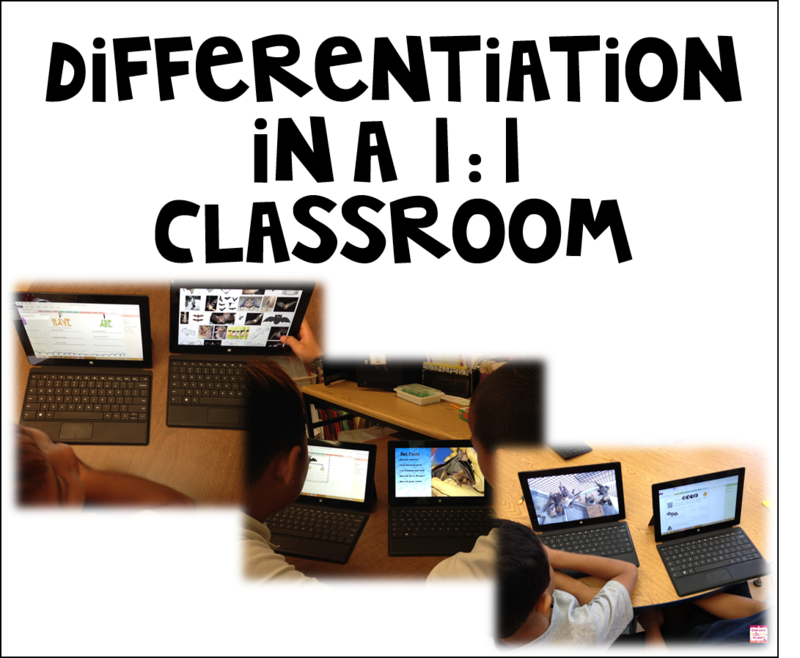 My school has recently gone 1:1 with technology, and I'd love to share a little bit about how I differentiate. If you're not 1:1, stick around- there are lots of ways to adapt these strategies using the technology you do have! My class is broken up by proficiency and reading level. I have three groups in my 4th/5th grade ELA class: Transformers, Avengers, and Marvel. Some teachers use colors, some use numbers, but since my class just so happens to be all boys, I decided to play up their interests. Transformers is my lowest level, Marvel is the middle, and Avengers is high-performing. 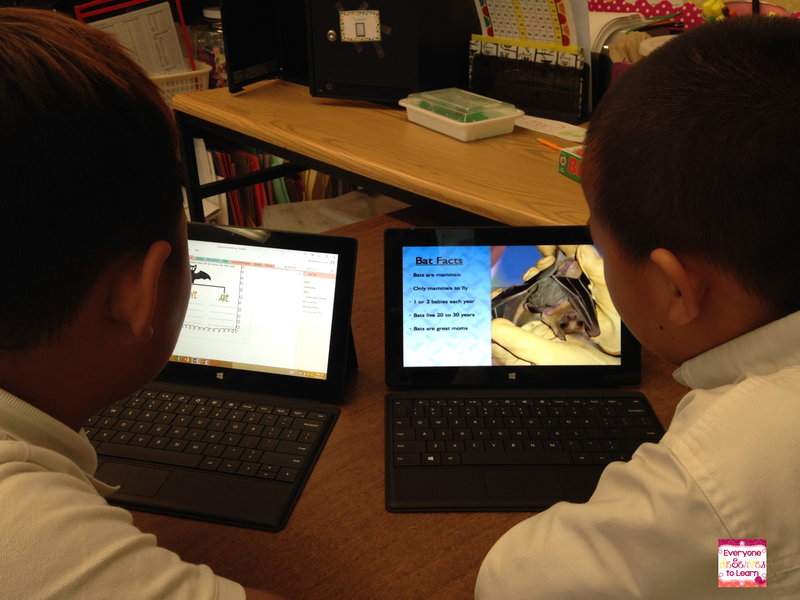 Recently, we were completing some non-fiction reading about bats, and to build some background we did a little shared research. We started whole-group by completing a KWL on the board and then watching a few youtube videos. 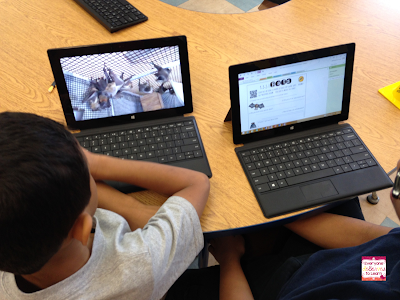 Once we had established some goals and questions for our lesson, we grabbed our tablets and separated into groups. This is where the fun started! And remember, if you're not 1:1, just adapt the strategy using the resources you have in your classroom. In partners, my students watched the video and then took notes or answered questions that were specifically tailored to them. 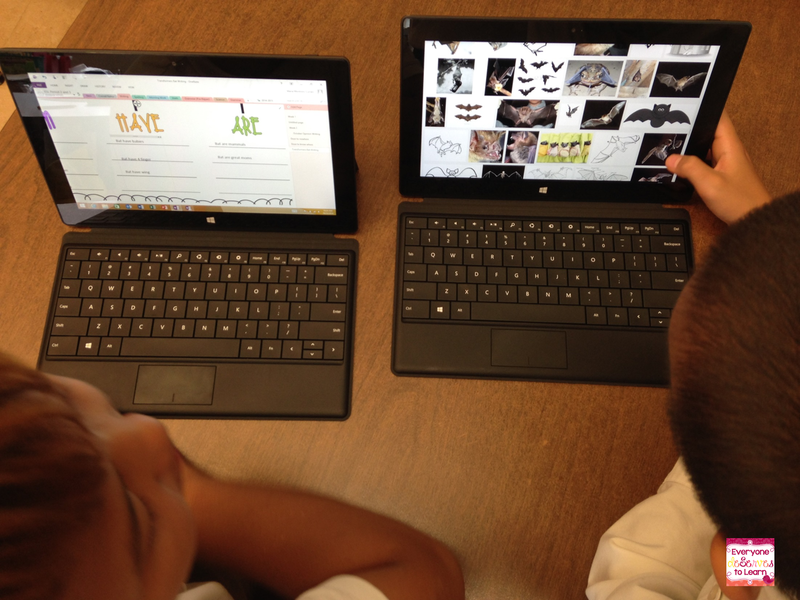 Each group received their own assignment and could not see what another group had received, since I dropped the page directly into their online notebook. 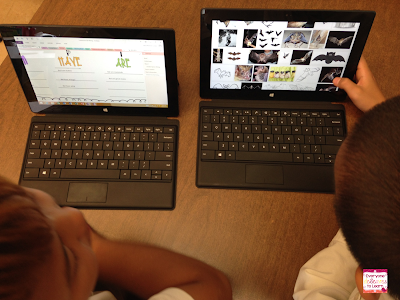 We use Microsoft OneNote for all of our work. (Click here for a post all about it!) Don't worry if you don't have OneNote- it's easy to do the same thing with Google Drive or Dropbox. If you are using paper notebooks, just print the page you need for each group. To my high and middle groups (Marvel and Avengers) I gave the same graphic organizer, but my Transformers (low level) group received something that was much more on their level. If you're interested in the 4-3-2-1 organizer in the picture, click to grab it here from google drive. Below, you can see my Transformers group working on their Can Have Are chart, which was much more applicable to their learning level. Differentiating this way allowed all three groups to watch different videos and answer different questions about the same topic. Once each group had finished, we reconvened to fill in our whole group KWL, and each team was able to tell a little about what they had discovered on their own. 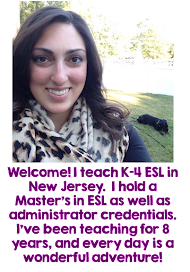 From a teacher or student perspective, they all learned about the same thing: bats. But looking down from a differentiation perspective, this lesson wasn't as much about WHAT they learned, but HOW they achieved their new learning. Now, if you are not a 1:1 school, you've probably already stopped reading. For those of you who haven't, don't fear differentiation! You can complete a similar lesson on any topic of study by printing one assignment/worksheet per group, and having groups rotate or share computers/iPads. If you have no technology available to you, pick up books on the topic ranging in reading levels. I've found that finding the sweet spot with my groups and levels takes time and patience, but the results make it worth the effort! 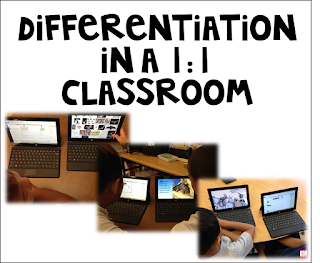 How do you differentiate in your classroom? It can be a tough thing to do, but the more we share the more we can learn from each other! One of the traditions at our school is the annual "You've Been Boo'ed" game. It's something I look forward to every year, and this year, I decided to give our tradition a little face-lift. If you've never been boo'ed, it's simple! 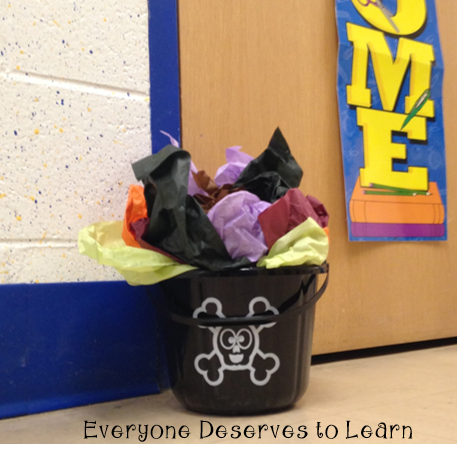 One person starts the chain by placing an anonymous basket of Halloween goodies in front of another classroom door. The recipient then puts an "I've Been Boo'ed" sign on the door and "boo's" another person. It's completely anonymous, low cost, and requires no staff meetings (hooray!). Want to try it? I just posted a free version in my TPT store- click any picture to download! If you're not sure what to put in your basket, here's an example. Best part? Everything came from the dollar store! 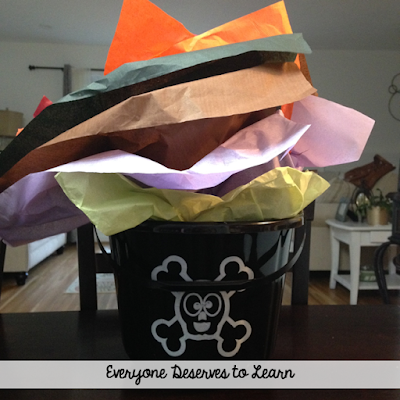 I wanted to make my basket look like a cauldron, so I placed everything in layers of tissue paper. 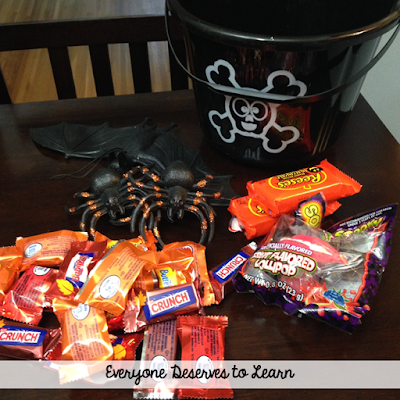 I had a specific person in mind for my boo basket, so I made sure to layer the candy with the fake spiders for an extra spooky twist. Post the directions in your faculty room or near your copier so everyone can see, and then get your boo on!